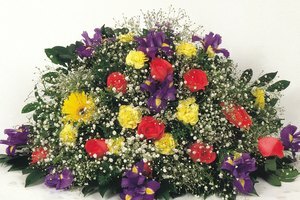 Making your own funeral flower display is a tasteful, respectful way to personalize your condolences and add a caring touch. There are many ways to make a lovely floral spray. They can be large or small; they can be simple or elaborate. 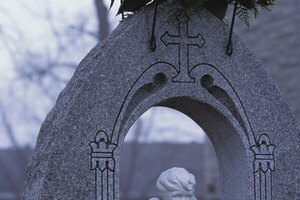 They can be free standing (on an easel or stand), hanging or laid on the casket. Decide what kind of spray you want to make--the colors, the size and complexity--and if you want to add personal embellishments. If the floral foam is not already cut to fit into the form of your spray, do so. You want it to be snug so don’t over cut. 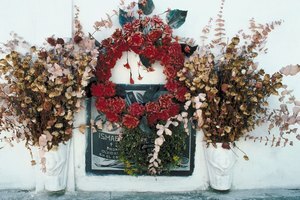 Once all the flowers have been placed, if you are adding a personal embellishment such as a ribbon with your family’s name or a photo of the deceased, attach it using wire, chenille stems or pipe cleaners. You can find sheet floral moss at any floral or craft store or in the craft/floral section of many retail stores. If the arrangement is to be hung, check it in a hanging position to make sure there are no bald spots and that the flowers do not fall out. Mixing flower food into the water used to soak the floral foam will help the flowers last longer. Don’t over-soak the flower foam; you want it wet but not so wet it becomes heavy and breaks or crushes and crumbles when the flowers are pushed through it. If you are going to use moss to cover the foam/mesh form, soak it with water before laying it down. 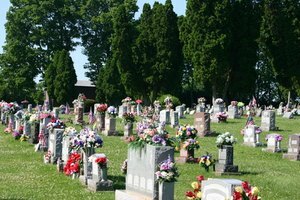 Keeping the floral foam wet, as well as the finished arrangement in the refrigerator or air-conditioned room and misted often, will keep the flowers fresh until the funeral. Writer, Contributing. "How To Make Floral Funeral Sprays." 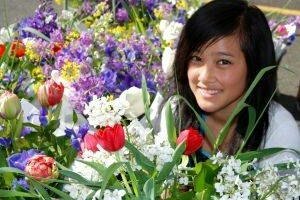 Synonym, https://classroom.synonym.com/how-to-make-floral-funeral-sprays-12079725.html. 29 September 2017.